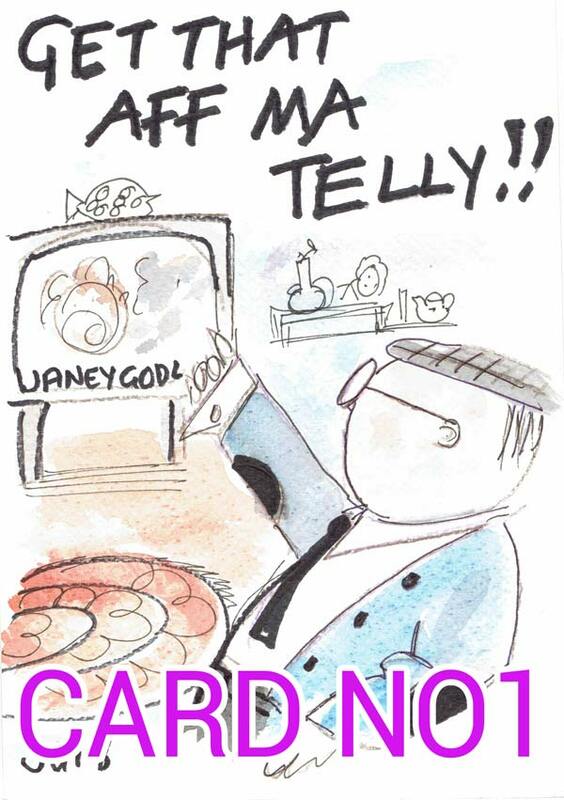 Card 1 – Get that aff ma telly! 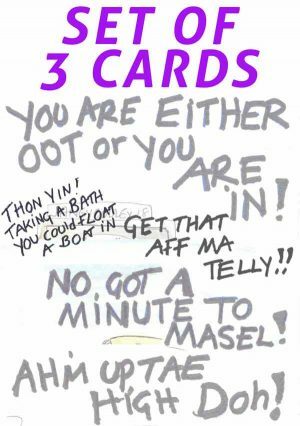 Home / All products / Cards / Card 1 – Get that aff ma telly! 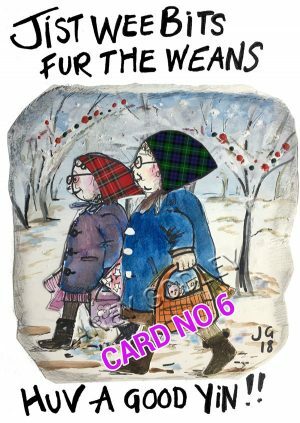 Handpainted by Janey, these greetings cards have been so popular, we have now produced them in quality prints as greetings cards. All cards are A5 in size, 15cm wide x 21cm tall. 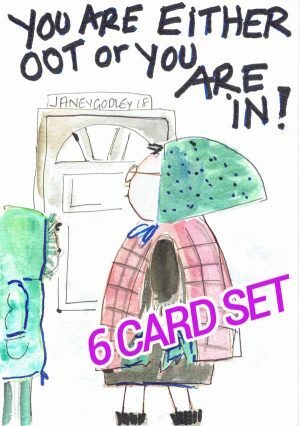 You can choose to by an individual card for £5, a set of 3 cards for £10, or the full pack of 6 cards for only £18. All cards come with their own quality envelopes. You can choose to buy an individual card for £5, a set of 3 cards for £10, or the full pack of 5 cards for only £17. 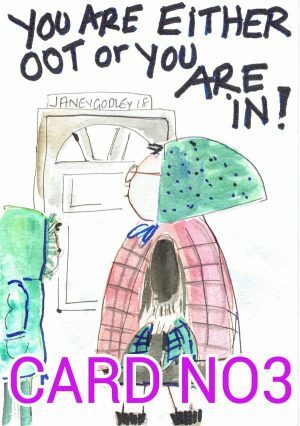 Card 3 – You are oot or you’re in! 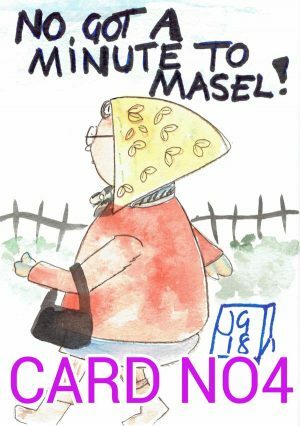 Card 4 – No got a minute to masel!